The 5.4 million square-mile Antarctic ice sheet is by far the greatest mass of fresh water on earth. If all it were to melt, it would raise global sea levels some 70 meters (220 feet), driving human civilization inland, and obliterating some nations completely. With human-induced climate change now proceeding rapidly, scientists want to know how rapidly the ice might react. One way to find out: study how the ice has reacted to past warm periods that could be analogous to our own. A group of 30 scientists is on its way to do just this. The research ship JOIDES Resolution, left Punta Arenas, Chile on March 20, to drill cores of sediment from a remote section of seabed where ancient icebergs are believed to have left clues. Using these, the researchers hope to chart how the ice sheet has waxed and waned in response to climate swings over the past 10 million years. 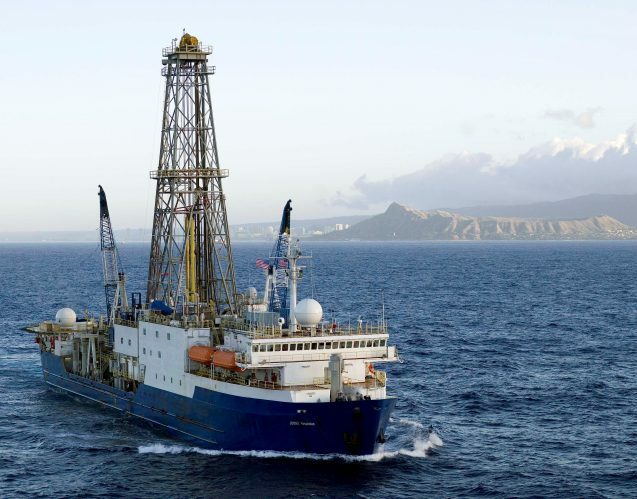 The two-month cruise is Expedition 382 of the International Ocean Discovery Program (IODP), a collaboration of scientists from many nations that coordinates large-scale ocean expeditions to study the history of the earth as recorded in sediments and rocks beneath the ocean floor. 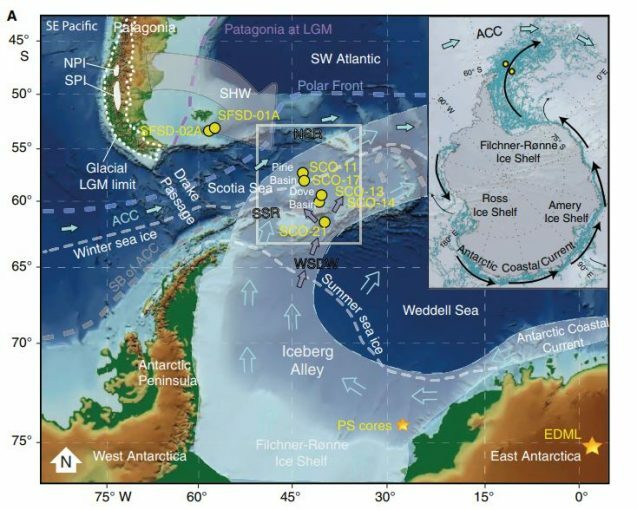 The scientists and crew aim to drill cores from the bed of the Scotia Sea, off the Antarctic Peninsula. As snow falls on Antarctica, it slowly builds up and turns into ice in continent’s interior. This ice turns into glaciers, which flow outward, toward the coasts. This moving ice scrapes up and incorporates large amount of rocks and dust. When the ice reaches the ocean, bergs break off, along with their load of debris. Antarctica is ringed by a powerful counterclockwise current, and many bergs ride this clear around the continent, until they near the obstacle of the Antarctic Peninsula, a long arm that juts out from the main landmass toward Chile. Here, in the Scotia Sea, the bergs get pushed northward toward the Southern Ocean, and begin to melt. 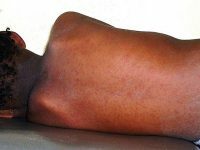 Researchers have dubbed this area “Iceberg Alley” (not to be confused with its more famous counterpart south of Greenland, where an iceberg sank the Titanic in 1912). 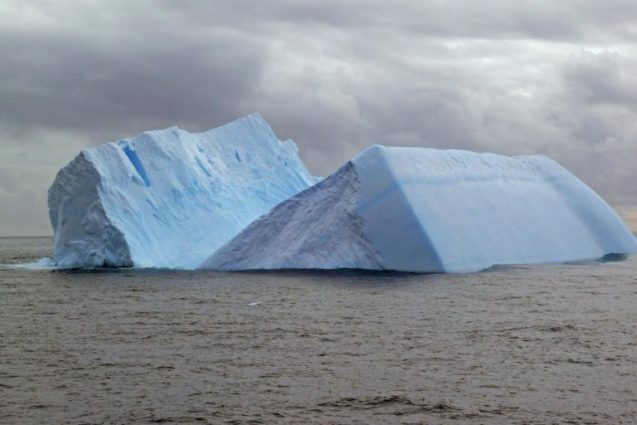 As icebergs melt, they drop their rafted-along debris loads to the seabed, and these loads build up in layers over centuries and millennia, over millions of years. And, because rocks originating in different parts of Antarctica carry different chemical signatures, scientists can figure out their provenance. Using recently developed techniques, they can also tell when debris was dropped, down to within as little as a few hundred years. Thus, they should be able to tell how much ice was discharged and when — a roadmap to changing climate, and the resulting growth or shrinkage of the ice. 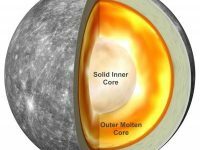 Co-chief scientist Maureen Raymo of Columbia University’s Lamont-Doherty Earth Observatory said she is particularly interested in two periods that may be comparable to modern times. The first was the late Pliocene, some 3 million years ago, a period of high sea levels when carbon dioxide levels were around 400 parts per million — just about what they are now — and temperatures were close to those expected by the end of the 21st century. The other: a warm snap in between bouts of glaciation just 120,000 years ago, when sea levels suddenly surged 15 to 30 feet, possibly within decades. 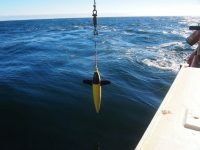 The scientists plan to drill into sediments whose surfaces lie as much 4,000 meters (2.5 miles) below the ocean surface, to bring up cores about 600 meters (2,000 feet) long each from as many as a half-dozen sites. How many cores they actually get may be a matter partly of luck, says Raymo; ships working in this region are commonly driven off station by the very thing they are seeking to study: giant icebergs heading their way. In this case, the ship has to move to an alternate location. Except for the bergs, the Scotia Sea is relatively calm. But to make the journey of some 1,500 kilometers (950 miles) there, the ship has to cross the windy Drake Passage, which has some of the roughest seas and biggest waves on the planet. “I’ve never been seasick, but if I ever do get seasick, it will be on this trip,” said Raymo. Co-leading the cruise is climatologist Michael Weber of the University of Bonn, who specializes in studying the end of the last ice age, and the associated dynamics of the Antarctic ice. Other scientists on the expedition hail from Australia. the United Kingdom, China, Brazil, Spain, Switzerland, Netherlands, Japan, South Korea and India.